Code: Realize ~Guardian of Rebirth~ is one of the best Otome games I played so far. It's story, the graphics, the sound & effects are all great plus the characters are well-written. Playing the whole game is not complicated and earning trophies as well. For this post, I'll be sharing PS Vita trophy guides plus some tips along the way. - There are 18 bronze trophies that you can get for this game. 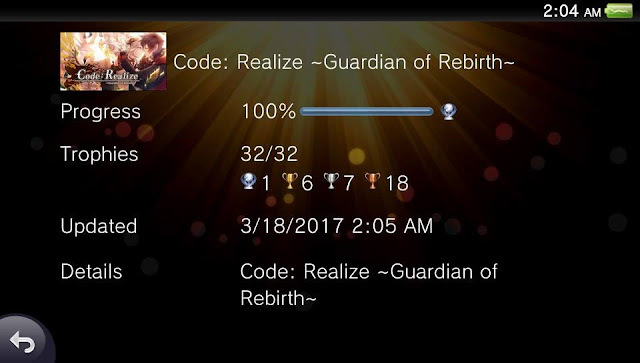 You can get most of the trophies as you play the story from Chapter 1 to 8. - There are 7 silver trophies that you can get when you unlock all the mentioned conditions below. [Memories of the Journey] - Unlock all non-character images/CGs (you need to finish Lupin's Normal Ending to unlock one of the non-character images. 19 images in total). - There are 6 gold trophies that you can obtain in the game. These trophies will unlock once you clear all the routes. >> Check out my Game Review and Walkthrough guides for Lupin, Impey, Van Helsing, Victor and Saint Germain. ★ As I play the whole game, I keep on saving game data whenever I see choices that I need to answer. With that, I can just load the save data to check and see what will happened such as 'what if I made this choice' and etc. So that you can just come back anytime, especially when you got a bad ending. ★ Have time clicking the down button when you see words that are red in color. It saves you time for the 'Fill the Glossary' trophy. If you can't unlock the mentioned trophy, you can play the game again and it will unlock. ★ You'll know if you clear the true ending of a route when the ending movie played. If not, you got a Normal or Bad Ending. ★ There's a CG at the non-character image collection that will only unlock when you clear Lupin's route in Normal Ending. ★ If you cleared each route in Normal/True ending, congratulations! But don't be afraid to re-read the story and choose the other choices. (Your previous choices will turn into green text once you play again). If you have any questions, please feel free to comment down below. 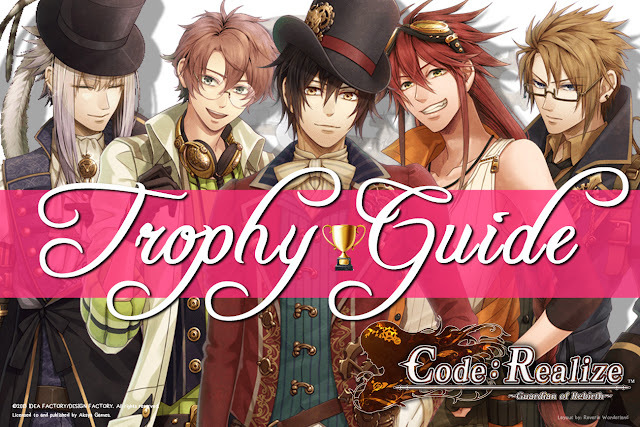 Enjoy playing Code: Realize ~Guardian of Rebirth~! © Reverie Wonderland. Powered by Blogger. 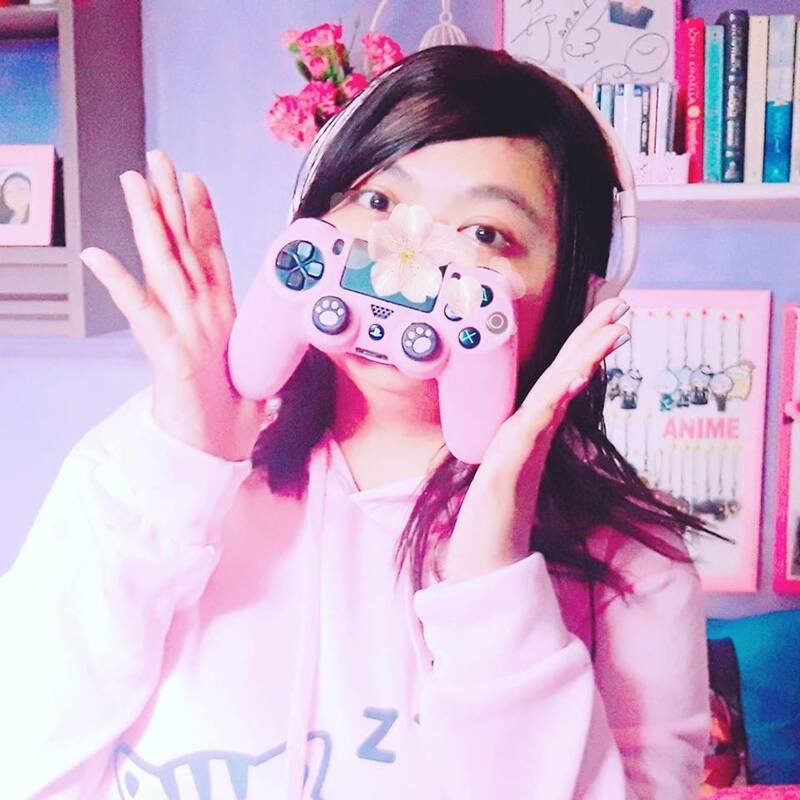 A multi-fandom blog which focuses more on toys, unboxing, photography, cosplay, Seiyuus and Otome Games.